Kolkata, April 16: The Ministry of Home Affairs (MHA) on Tuesday cancelled the business visa of Bangladeshi actor Ferdous Ahmed and issued a notice to him asking to immediately leave India. The Bangladeshi superstar has been blacklisted from the country. This comes after the actor violated his visa conditions by campaigning for Mamata Banerjee's Trinamool Congress (TMC) in West Bengal. MHA Seeks Report on Bangladeshi Actor Ferdous Ahmed Campaigning For TMC in West Bengal. The Home Ministry asked for a report from the Bureau of Immigration (BI) after Ahmed's presence at TMC roadshow triggered controversy. The Foreigners Regional Registration Office (FRRO) Kolkata has been asked to follow the orders, the Home Ministry said. Warning to Trinamool Congress? 100 TMC Lawmakers Will Switch Over to BJP Soon, Claims BJP leader Arjun Singh. 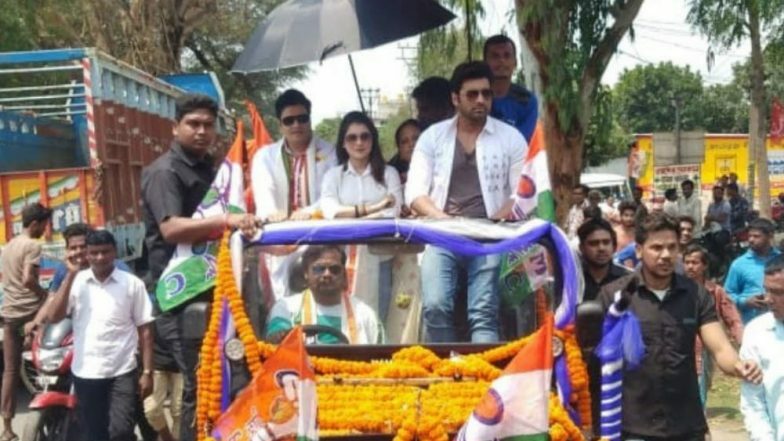 On Monday, the actor campaigned in North Dinajpur. The Bharatiya Janata Party (BJP) had lodged a complaint with the Election Commission of India claiming Ahmed's campaigning violated Model Code of Conduct (MCC). BJP leader Sisir Bajoria and Jay Prakash Majumdar met West Bengal's Chief Electoral Officer (CEO) Ariz Aftab and urged him to take appropriate action. Reportedly, the actor campaigned for Kanhaiyalal Agrawal, a TMC candidate, who is contesting from Raiganj Parliamentary seat. In 2014 general elections, TMC had emerged the second runner up. The Communist Party of India (Marxist) candidate Mohammed Salim won the polls with a narrow margin of 1,850 votes against Congress rival.